We would like to welcome our newest volunteers! We look forward to working with each and every one of you as you contribute your many talents to our Agency. 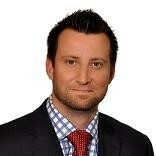 We wish to extend a very warm welcome to to Vincent Francescut. After obtaining a business degree from the University of Miami Vince spent close to a decade on the trading floor on Bay Street in investment strategy and advisory for some of Canada’s largest financial institutions. From there, he started his own business, which has brought him to Co-operators Group Insurance in Fort Erie. Currently Vince lives in Virgil with his wife Danielle and two year old daughter Violet. Vince joined the Community Living Fort Erie volunteer team in December 2017. As a Leisure Buddy to one of the gentlemen we support Vince has already made a difference. Vince and Stuart have quickly become friends, sharing their common interest in sports. Thank you for choosing us Vince! Anita has been involved in activities for youth for many years in our community. “Anna” is described as being a very hard worker, reliable and a “great example to others”. She has volunteered in many different capacities including children’s camps, soup kitchens and at various community events. Anna has been home schooled since Kindergarten, recently graduated and is hoping to further her education as a Developmental Service Worker. Anna reached out to our organization hoping to find a Leisure Buddy match with one of the people we support. Presently she is volunteering at one of the residential locations with a young lady. We are very happy to have you join us Anna and look forward to having you as a valued volunteer! When Brittney contacted our organization she was very anxious to get started as a volunteer. Brittney is a neighbor to one of our Residential locations and she has become familiar with some of the staff and residents. She researched more about Community Living Fort Erie and was impressed with the work we are doing in the community! 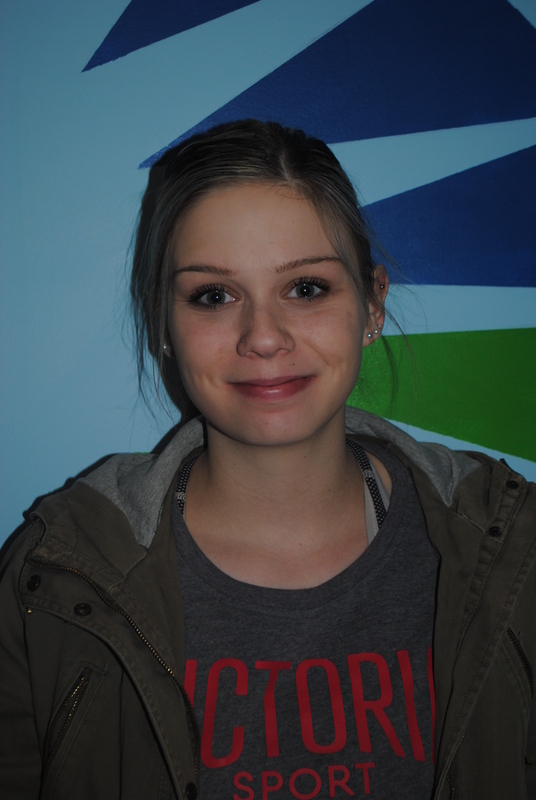 Brittney wants to volunteer in hopes of lending a helping hand to “good neighbours” and developing a Leisure Buddy friendship with one of the people who live at this location. Brittney loves animals, enjoys the outdoors and landscaping. She comes from a Health Care background, working as a Personal Support Worker with the Niagara Region. 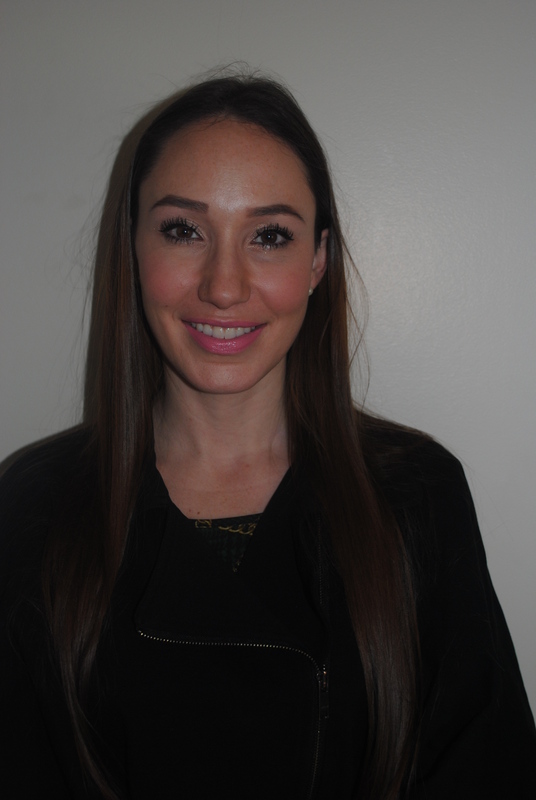 Brittney has been described as very motivated, caring, hardworking and a great team leader. Community Living Fort Erie would like to welcome Brittney to our volunteer team!! Dhanesh is a student from the Niagara College Educational Assistant and Special Needs Support (EASNS) Program. His volunteer experiences have included St. Patrick’s School in Niagara Falls. Presently he works for Person Centred Care and Paramount Care Nursing as a support staff. 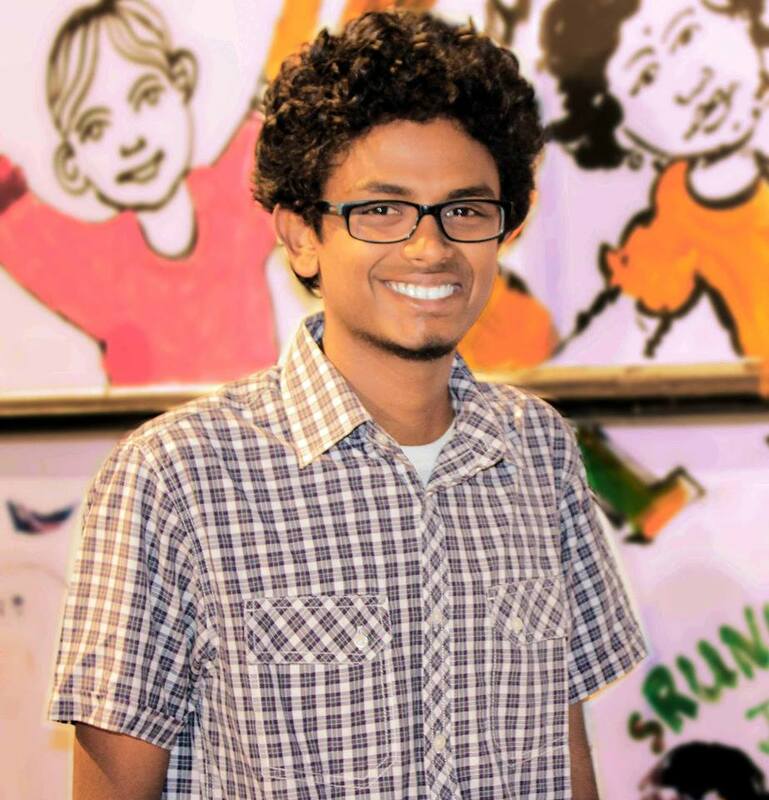 Dhanesh has heard many positive things about our organization, so he requested placement with us! He began his placement in January at one of our Residential locations. He feels he has gained many valuable skills and the staff and people supported have enjoyed having Dhanesh as part of the team! Judy chose Community Living Fort Erie for her educational placement because she has been a volunteer of the organization since 2014. She participated as a volunteer in our Summer Day Respite YMCA Program and at different fundraising activities. Judy is a 2nd year student in the Occupational Therapist Assistant/Physiotherapist Assistant (OTA/PTA) Program at Niagara College. We would like to welcome Judy to the Community Living Fort Erie Team and know she brings a wealth of knowledge and supportive ideas to her Residential Placement. In January a very enthusiastic student from Niagara College was placed in the Community Support Program. 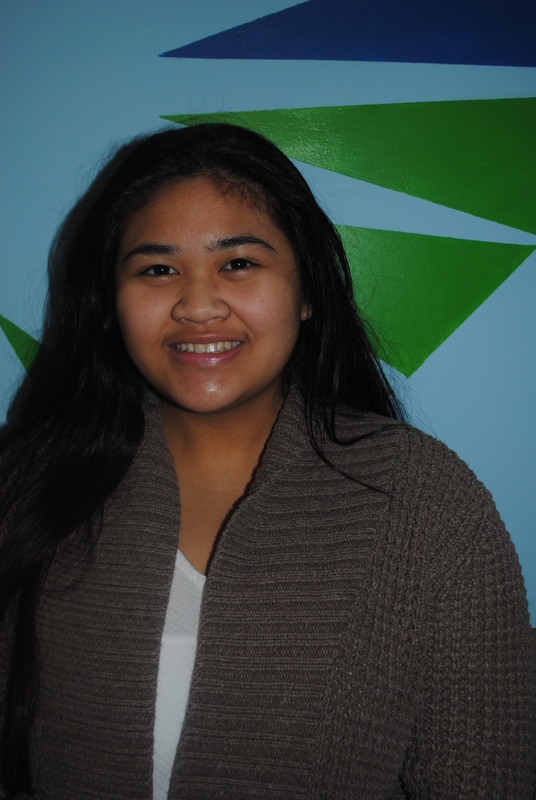 Felischa Tulagan is a first year Social Service Worker student. She felt her placement provided valuable training. Felischa learned about ways to communicate with Non-verbal people, different funding opportunities, community resources that help families, services that are available to youth and adults and how “success looks differently for everyone”. The program benefited in many ways through her placement and staff provided a very valuable educational experience. Thank you Felischa for your dedication to your placement over the past 4 months. She hopes for a Summer Camp Counselor position this summer with our organization!! We wish you all the best Felischa with reaching your future goals!! 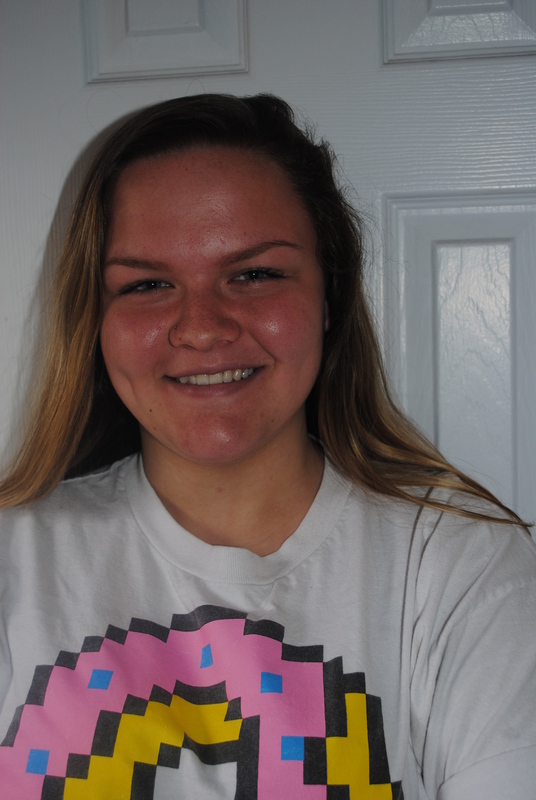 Michaela is a grade 12 student at Lakeshore Catholic High School. She chose Community Living Fort Erie for her Co-op placement because she enjoys working with people who have special needs. Michaela has volunteered with NSS/NTEC Children’s Movement Program and the Teen Drop in Centre. She loves to read, play rugby, go for walks and really enjoys helping people. Michaela plans on furthering her education in the field of Educational Assistant Special Needs Support (EASNS) once she graduates from High School!! It is wonderful to have her placed in one of our Residential Programs until June. Pauline Wilson has been an employee of our organization for over 40 years. She works very hard for our organization and is always going above and beyond. For the past ten years Pauline has been a VERY dedicated member of the volunteer team. She began helping with planning small events us which led to the creation of our Fundraising committee in 2011. She acts as secretary on the committee and assists in many other different capacities, wherever she is needed. Pauline was giving her time to Community Living Fort Erie long before we formally had a volunteer program. She is a dedicated volunteer who is truly passionate about the work we do in our community!! Usually before we can ask “who can help” Pauline is already there!! She is energetic, reliable, selfless and a wonderful team player. Her kind nature and generous heart make her a true asset to any team and we are very lucky to have her!! Thank you Pauline for your commitment to this organization!! Dee Dee Hayslip: Dee Dee has been a volunteer on our fundraising committee where she began creating the Advertising Programs for our Annual Fundraising Event. We quickly learned Dee Dee was a talented graphic design volunteer and we have utilized her in many other capacities over the past five years. She has completed many administrative tasks for us including designing and publishing our agency Newsletter. Dee Dee has stepped up on several occasions to help out with different events whenever she has been able to! She is a dedicated Bingo volunteer where her time truly makes a difference for our agency! She is an optimist who brings cheer and positivity everywhere she goes. You have worked so hard for this agency over the past five years Dee Dee and we really want you to know that we truly appreciate your many volunteer contributions. Bobbie Paonessa: Bobbie began as a member of our fundraising committee and has helped to plan the last five Christmas Around The World Events. She also participates in other volunteer activities in our community as well. Bobbie has helped out at our fundraising BBQ’s, Pasta Nights and she is always eager to assist in any way possible. 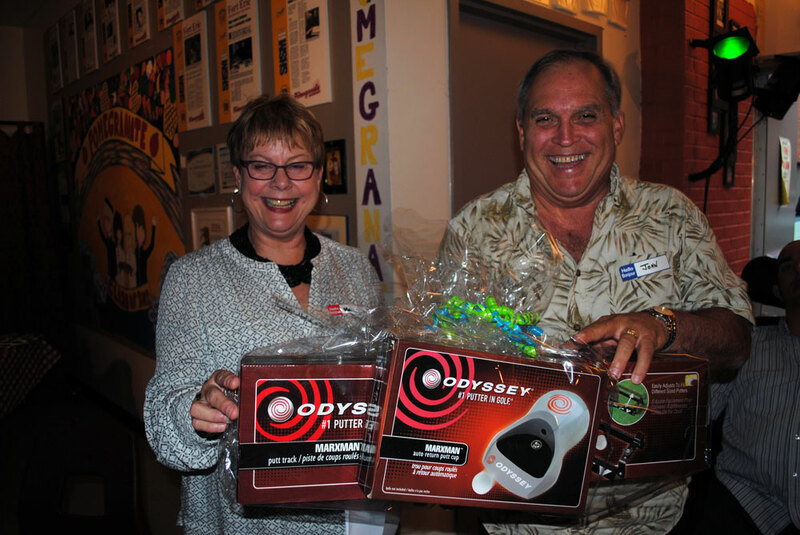 Bobbie’s dedication to helping out our Bingo’s has ensured success fundraising at these events. Her willingness to jump in and help with any tasks that may arise has opened doors to new experiences and allowed her to make a difference in a variety of ways! Bobbie is confident and energetic in her volunteer role. Thank you Bobbie for your enthusiasm over the past five years!! Elena Polko: When Elena moved to Fort Erie in 2013 she came to our organization looking for a volunteer position. Elena felt she has had “many blessings in her life” and she wanted to “give back to others” Coming from Russia she was not familiar with the concept of volunteering and she was amazed with the positive results organizations received through volunteer programs in Canada. 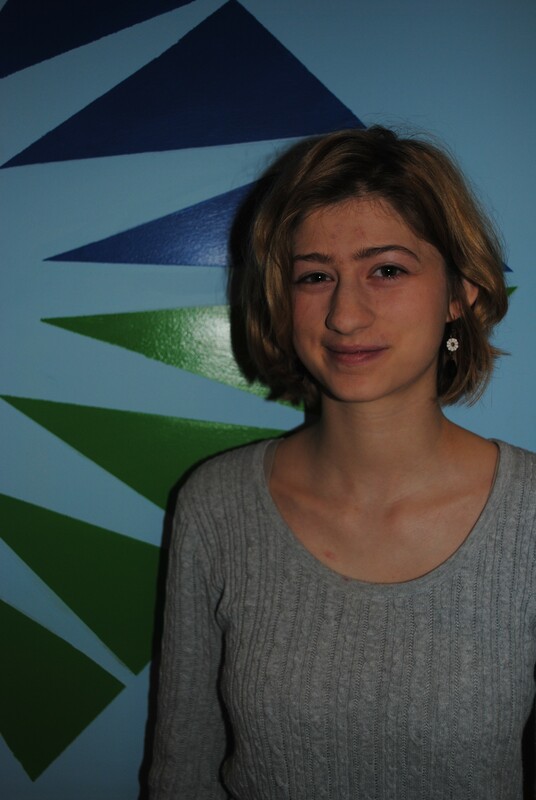 Elena joined the Fundraising committee and she has made a significant difference through her contributions. She always has a fun and loving spirit. She is always optimistic and positive. She came to our organization with a great sense of commitment hoping to gain experience and friendships. Elena has made many new friends and has grown to be a very important part of our volunteer family! 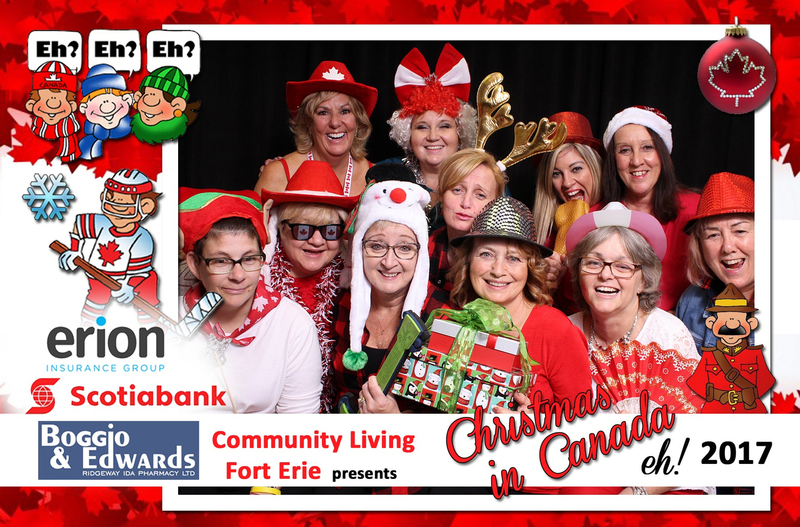 Thank you for choosing Community Living Fort Erie Elena. We are very thankful for YOU!! Nahomie St Armand: Nahomie came to our organization wanting to help out in one of our Residential locations volunteering directly with the people we support. After volunteering for a while she made a connection with one of the ladies we support and began as a Leisure Buddy. These two ladies have become friends and have enjoyed numerous walks and community activities over the years. Nahomie is very creative, cheerful and patient. Staff always looks forward to having her visit the residence and her buddy. Nahomie has also completed many financial reviews for our organization as a third party reviewer on behalf of the agency. Nahomie we appreciate you. Thank you for making a significant difference in the lives of the people we support through your volunteerism! Sandy Miskolczi: Sandy has been an employee of our agency for years. She began volunteering at our Pasta Nights where she has become a very welcoming and enthusiastic part of the Italo Canadian Club serving team on behalf of Community Living. When Sandy joined the Volunteer Fundraising team she was responsible for planning the menu and food for our Christmas Around The World Event. As a volunteer Sandy has taken on many additional responsibilities over the past five years. She is always eager to help out whenever possible. 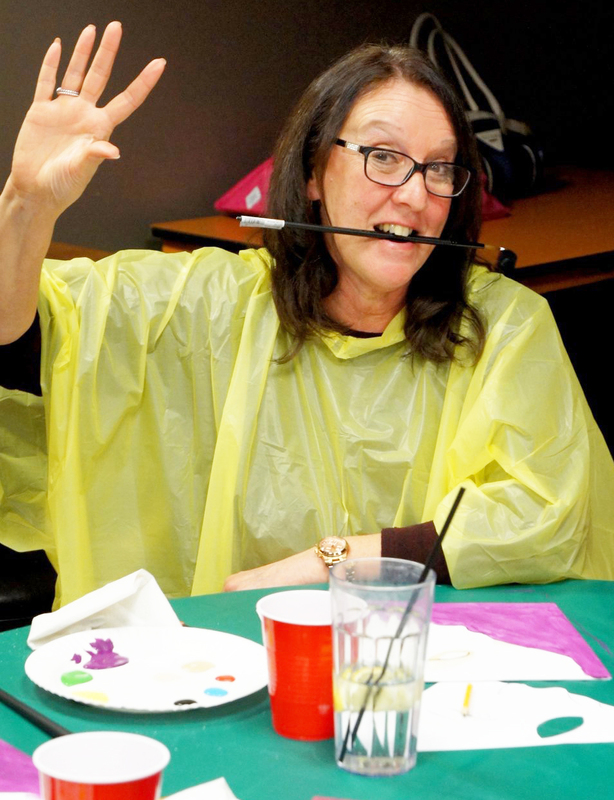 She is creative, energetic and has shown great commitment to our volunteer team. Thank you for all you have done through your volunteerism!! Celebrating Our 2017 Fundraiser and Planning for 2018!!! 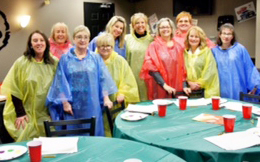 On February 15th, our Volunteer Fundraising Committee Members held their first fundraising meeting for 2018. The meeting consisted of planning this year’s fundraiser celebrating Christmas In New Orleans “A Mardi Gras Christmas”. The evening was also in recognition of all the hard work our volunteers did last year to ensure a successful event. Planning for an event of this size takes many months, and dedicated volunteers who donate many hours of their time to our organization. Our 2017 “Christmas In Canada” event raised over $36,000.00. 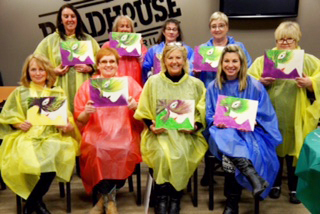 Community Living – Fort Erie hosted a Dinner and Paint Nite to recognize the many contributions made by our fundraising team. 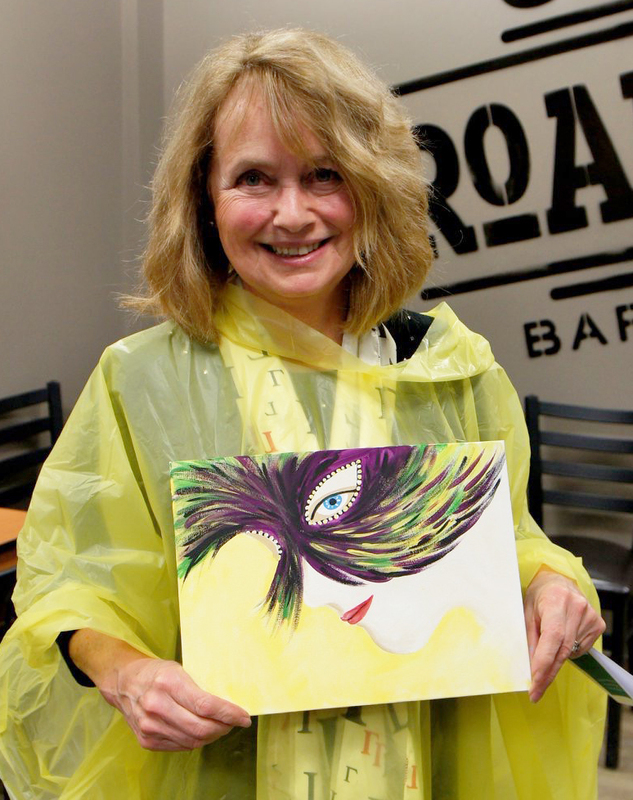 Volunteers created their very own masterpieces with a “Mardi Gras” theme while enjoying an evening with team members. From left to right: Marina Parkes, Pauline Wilson, Linda Beach, Sue Doan, Kristina Phillips, Marg Fidler, Debbie Eggleton, Elena Polko, Pennie Ruch, Bobbi Raymond. Absent: Sandy Miskolczi. The 15th annual “Breaking the Barrier” Awards ceremony was held on Wednesday, June 4, 2014, at St. John Ukrainian Hall, 91 Lakeshore Rd. in St. Catharines. All citizens of Niagara were invited to attend the ceremony, which featured a keynote address from Geoff Eden, a local advocate who discussed accessibility issues in the community. These Awards are given to volunteers who have devoted their time to helping people with disabilities achieve independence and for raising awareness in the community about the abilities of all people. Sue Doan received The March of Dimes “Breaking The Barriers Award” ! Sue Doan was one of this year’s recipients. Sue has been a supportive member of our organization for many years in various capacities, but officially joined our volunteer fundraiser team in 2012. Her passion for CLFE inspires others to take up the cause. She is a role model of excellence in this position, and acts as a resource to other volunteers. Sue understands that the gift of time is one of the most important gifts a community member can give to an organization. She has contributed over 600 hours this past year to ensure that our organization is meeting its fundraising objectives. She also volunteers numerous hours raising awareness of the benefits of including people with intellectual disabilities in their community. Community Living is very thankful that Sue is a part of our volunteer team! 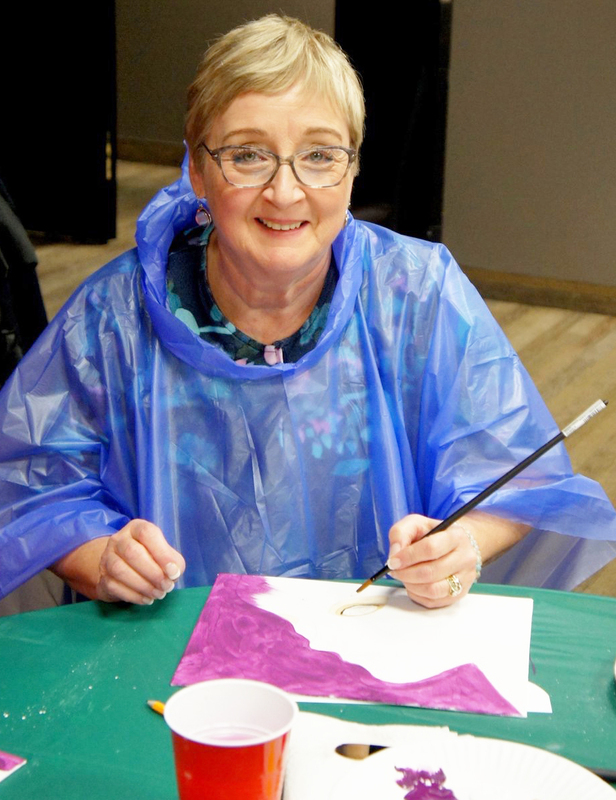 Sue is driven to educate people on the importance of inclusion and is a role model and leader on ensuring people with intellectual disabilities are given inclusive opportunities in their community. Sue partnered with our organization and Niagara College on two videos. One informational video which promoted the organization and inclusion and another that focused on the importance of including people in all aspects of community life . She speaks from the heart and provides firsthand accounts of how being included has made a difference in the life of her son. She is a wonderful advocate for her son Jacob and she sends a message to other parents that it is important to ensure equality, respect and an inclusive life for their children. Sue has now accepted other leadership roles within the organization. She accepted a nomination to our Board of Directors in June 2013 and will be assuming the co-chair position of 2014 Fundraising Volunteer Committee. She is always providing education to other members and makes sure that all organizational activities are centered around inclusion of people with disabilities. Her passion for our organization and strong belief in our Mission and Vision is demonstrated in all aspects of her volunteer position. Sue is a faithful and dependable volunteer who strives to educate people in our community on everyone’s “Right To Be Included”. Alaena began as a co-op student with Community Living Fort Erie in May 2012. As a student she was responsible to assist staff with duties in one of our residential settings. She was a stellar student and role modeled excellence in her placement. Alaena developed a special relationship with a young lady living at one of our residential locations and decided to stay on with our organization as a volunteer through our “Leisure Buddy” program. Often many of the people we support require peer encouragement to pursue activities that they enjoy. Staffing levels do not always allow for one on one support for community participation activities of an individual’s choice. “Leisure Buddies” provide an essential support for people with intellectual challenges to help them to be included in activities in their community. She has encouraged this once timid and anxious young lady to seek out inclusive activities. Alaena and her leisure buddy, Chantal Champagne, often go to the YMCA where they have developed new friendships. Chantal loves to swim and will often call Alaena to ask her to take her to the pool. This activity has increased community recreation for this young lady and it has also proven to be therapeutic in many ways. Alaena and Chantel enjoy lunch together at different times throughout each month and they share a special mutual relationship. Often students do not continue to be involved with our organization in a volunteer capacity once their student placement has been completed, but this young volunteer realized that a valuable “connection” had been made. She has made a significant difference in Chantal’s life, but if you ask Alaena, she will tell you that she feels she is the one who has benefited from her volunteerism. Alaena is positive proof that the youth of our community are actively giving back! Celebrating our Dedicated Volunteers at our 2014 Volunteer Appreciation Dinner!! What better way to get things accomplished and benefit the Community then developing partnerships! Community Living Fort Erie, Nigh’s Sweet Shop and Fort Erie Secondary School are examples of the things that can be accomplished when groups work together. 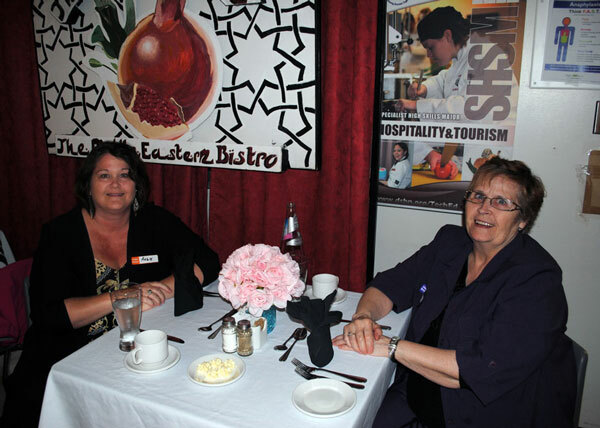 The Community Living Fort Erie Volunteer Appreciation Dinner was held at the Pomegranate Restaurant at Fort Erie High School on Wednesday May 14th. The Pomegranate Restaurant is a student run enterprise that began in January 2008. The students of this Program prepared a beautiful buffet dinner for Community Living Fort Erie volunteers which included a wonderful chocolate fondue and homemade cream puffs for dessert! What a delicious way to thank our volunteers!! Nigh’s Sweet Shop of Stevensville reached out to help by covering the cost of the meals for all the volunteers in attendance. Generous Sponsors, like this community minded business owner make it possible for us to say THANK YOU in a wonderful way!! This year over 400 Non Perishable food items were donated by staff and volunteers of Community Living Fort Erie to the Community Outreach Program Fort Erie (COPE). This is another example of how organizations joining forces can make a difference for others!! Thank you to our volunteers for your MANY contributions!! Congratulations to some very special volunteers who were recognized and celebrated at our Volunteer Appreciation night! THANK YOU FOR YOUR YEARS OF VOLUNTEER SERVICE. John has been volunteering with Community Living Fort Erie for many years. Although he received recognition for fifteen years of service he has been a member of our Board of Directors for over 23 years! This position requires him to remove himself from the Board periodically…. But he keeps coming back to ensure organizational sustainability and growth! John has always been a passionate Board Member who believes in the work of Community Living Fort Erie. His “Can Do Attitude” has helped to move our organization forward to meet many of our Strategic Plan objectives. John has demonstrated commitment, passion and true dedication! !Thank you John for donating your time to make a difference in our organization and in our community through your volunteerism! Angie attended a Volunteer Fair in 2004 looking to give her time and energy to an organization in her community. After researching what volunteer opportunities were available she decided to join our team! Angie has acted as chair of our Volunteer Advisory Committee, Coordinated fundraising events, assisted with Administrative duties and completes individual financial audits for people that we support! Her positive attitude is infectious. She is a leader amongst volunteers and is always willing to lend a supportive “Helping Hand”. It is our privilege to have Angie as a part of our volunteer team.Congratulations and Thank you for serving the people we support for the past ten years! Helen joined our volunteer team ten years ago. She brings a quiet and supportive attitude to every volunteer project she completes. You can always count on Helen to be there to assist with anything that is requested. Helen demonstrates many of the qualities that great volunteers possess. She is patient and kind and always willing to complete any task she is called upon for!Thank you Helen for your many years of service! You have made a difference for many people at Community Living Fort Erie through your volunteerism! Sandy is a volunteer resource we are very lucky to have. Her enthusiasm and endless energy guarantees she always gets the job done! She has been a leisure buddy, Marketing/Public Relations and Entertainment Chair for our fundraising events. She assists with prize donations and ad sponsorships throughout the year. Sandy’s fun and positive personality makes her a joy to be around! Sandy is always happy and encouraging! She is a delight to work with and has wonderful ideas to share with our organization!Your volunteer contributions are valued and appreciated! Lisa was a support staff for twenty years, although she left the organization for other employment, her heart stayed with the people she supported. Lisa has remained with Community Living Fort Erie as an organizational volunteer for the past five years. She is the first to volunteer for any of our organizational events. She is happy to assist with our Pasta Night Fundraisers and organizational projects. Whenever Lisa is asked to help out she anxiously offers her assistance. We truly value your volunteer contributions and appreciate the many hours that you have contributed!Thank you for staying with us Lisa… you are such an asset! !